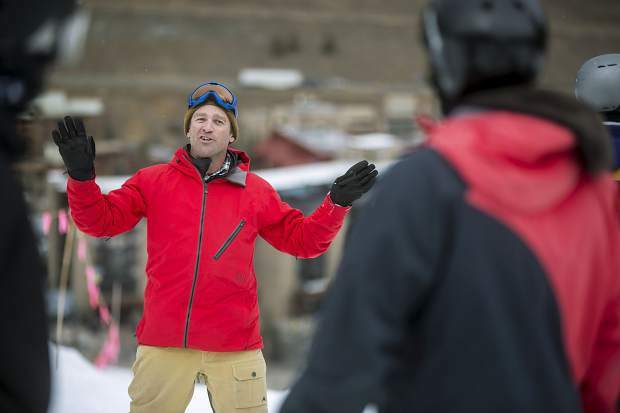 United States Ski and Snowboard Association (USSA) Sport Education Director Jon Casson leads a coaching class Friday, Nov. 17, at Copper Mountain. When Jon Casson first skied in the Colorado Rockies in 1995, he was a young 20-something from Washington, D.C. His previous weekend trips to hills in West Virginia and Maryland didn’t exactly provide him ideal avalanche education. The 22-year-old thought avalanches were just like a hurricane: once-a-season natural disasters. “I didn’t realize that hundreds of them happen every single day,” he said. Casson and his brother hiked Loveland Pass on that sunny powder day. 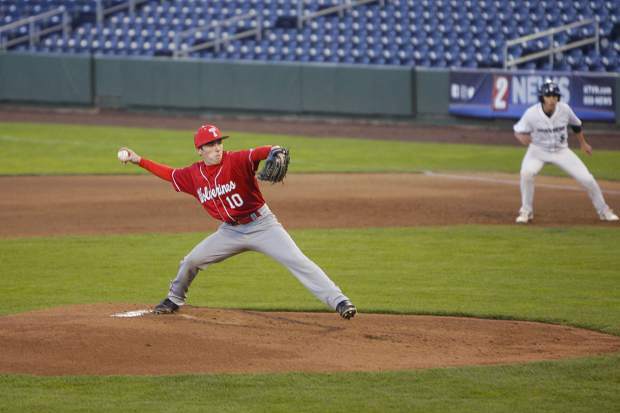 And when Casson, now the sport education director for the U.S. Ski and Snowboard Association, thinks back to that snowy situation, he doesn’t sugarcoat his self-criticism. To Casson, that naïve 20-something version of himself from 1995 is the exact type of person USSA and the Bryce and Ronnie Athlete Safety and Security Foundation should be targeting. The foundation — one focused on increased avalanche awareness, education and advanced athlete safety investments — was launched a year-and-a-half ago after U.S. Ski Team athletes Bryce Astle and Ronnie Berlack were killed in a January 2015 avalanche at a ski area in Soelden, Austria. They were two of a half dozen USSA athletes who were caught in the snow slide when free skiing in-bounds. At Copper Mountain Fire Station on Thursday, BRASS-influenced avalanche safety and education effectively served as the exclamation point on a day-long club coaches conference. Casson led the session that was attended by 25 local club coaches as part of USSA’s four-stop regional club excellence conferences. It ended with a 30-minute crash-course in the BRASS Foundation’s “Brass 101” course, one heavy on “Know Before You Go” avalanche safety principles. Casson emphasized how the video, a mix of humor and stoic seriousness meant for younger athletes, is worth the time for everyone from skiers to backcountry snowboarders to snowmobilers. BRASS’s efforts at the club ski level complement the education efforts of the Colorado Avalanche Information Center and its fundraising arm, Friends of the Colorado Avalanche Information Center. Friends of CAIC will host its tenth anniversary celebration on Dec. 2, in Breckenridge. Along with the Utah Avalanche Center, CAIC launched the Know Before You Go program in 2004. Friends of CAIC, through the annual CAIC Benefit Bash, has raised $668,000 since it launched a decade ago. This year’s event will take place from 5–10 p.m., on Dec. 2 ,at the Breckenridge Riverwalk Center. The event’s $50 admission covers dinner, drink tickets and other amenities. All proceeds go to support CAIC. Money raised through Friends of CAIC will partially go to an improved second version of the CAIC mobile phone application that launched in 2015 and has since been downloaded by 10,000 users. Friends of CAIC executive director Aaron Carlson said the app may be ready to launch in a couple of week with a cleaner, easier interface and improved incorporation of CAIC’s backcountry zones, weather forecasts and tables. Carlson said this year’s budget for estimated expenses for the Know Before You Go program is also up $5,000 from last year, to $25,000. CAIC currently has nine backcountry forecasters and eight highway forecasters throughout the state. But Carlson said he would like to see 20 CAIC backcountry forecasters throughout the state. Crunching the numbers — on average it costs about $50,000 for a seasonal forecaster — that would require roughly another $550,000 of fundraising on an annual basis. “We have a huge area here in Colorado that needs to be covered,” Carlson said. “And there are a lot of different mountain ranges within state. Carlson also stressed that CAIC isn’t biased toward one user group, such as skiers. 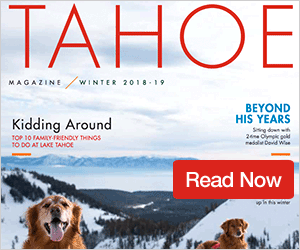 Addressing that middle ground, especially in a day and age of increased exposure on social media to the thrills of the backcountry, is a primary focus of CAIC executive director Ethan Greene. Greene said the popularity of winter backcountry recreation, across all sectors, has increased since Friends of CAIC launched a decade ago. As such, all different backcountry user groups are being reached out to, namely snowbikers on timbersleds. Greene said they are traversing tricky backcountry spots different than traditional snowmobilers, as they are more apt to try to get somewhere sideways. “Up until two years ago, the only one fatality on a snowbike was in Montana about a decade ago,” Greene said. “But in the last two years, we’ve seen people killed on these timbersleds, and that’s a new user group. They’ve been around for a while, but they are getting into avalanche terrain more. “And it’s really a matter of finding ways to reach out to them and the messages to help them,” Greene said. With inches of snow dumping Friday night on the I-70 corridor that bisects Summit County, everyone from skiers to snowshoe hikers to timbersledders will be out on fresh powder soon enough. And with the increased backcountry popularity, one of the local coaches in attendance at Copper Thursday night said along with embracing education, avoiding accidents comes down to accountability. 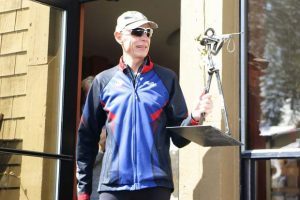 “We are in a community where it is a serious deal and it is not just out-of-bounds, in my opinion,” said Fred Horvath, Team Breckenridge’s lead development coach. “There are times in the ski area when we need to be aware of conditions and slopes, and have that avalanche awareness even in the resort itself.